To investigate the effectiveness and safety of using the Ensite NavX three-dimensional (3D) mapping system during Radiofrequency catheter ablation (RFCA) of left accessory pathway (AP) disorders. A total of 227 patients having their left AP treated by RFCA, were classified into study group (n = 112) and the control group (n = 115). X-ray irradiation time and exposure doses during the course of the operations were recorded. Time taken to place the mapping catheter along with total duration of operations and procedural complications were compared. 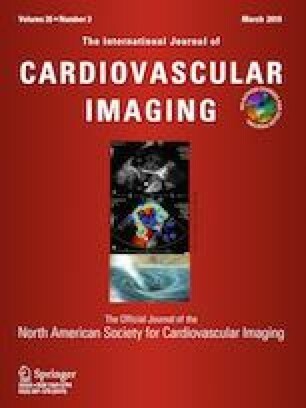 The X-ray irradiation time and exposure doses in the course of manipulating the ablation catheters were significantly lower in the study group compared to control (5.1 ± 2.3 min vs. 13.1 ± 3.1 min; P < 0.05 and 5.7 ± 2.6 mGy vs. 17.8 ± 4.3 mGy; P < 0.05, respectively). The total duration of operation was also significantly shorter in the study group compared to control (53.1 ± 18.8 min vs. 62.3 ± 20.6 min; P < 0.05). No procedural complications were reported in both groups. The irradiation time and exposure dose along with total operation duration was significantly reduced when the Ensite NavX mapping system was used during RFCA in comparison with traditional X-ray fluoroscopy method.